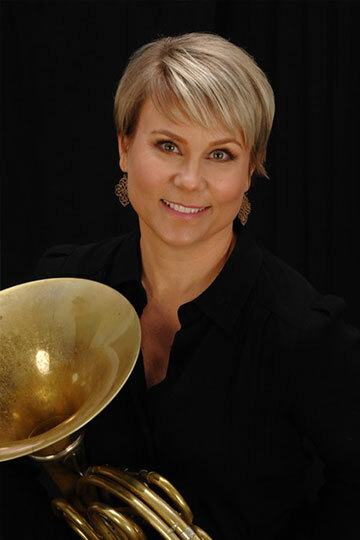 Sarah Cranston has been principal horn in the Houston Grand Opera Orchestra since 2003. She also plays third horn in the Houston Ballet Orchestra. She is an active chamber musician and freelancer in the Houston area. Sarah received her master’s degree from The Juilliard School and her bachelor's degree from The Hartt School. Her principal teachers include William VerMeulen, Jerome Ashby and David Jolley. Sarah’s music festival participation has included Tanglewood, National Orchestral Institute and the Sun Valley Summer Symphony. Sarah spent three summers at the renowned Marlboro Music Festival and has participated in “Music From Marlboro” chamber music tours. Her playing can be heard on Marlboro's 50th anniversary recording. A native of Buffalo, New York, Sarah now lives in Sugar Land, Texas with her husband, Kevin. When she’s not performing, she stays busy taking care of her 7-year-old twin boys, William and Timothy and daughter, Emma, who is two years old.